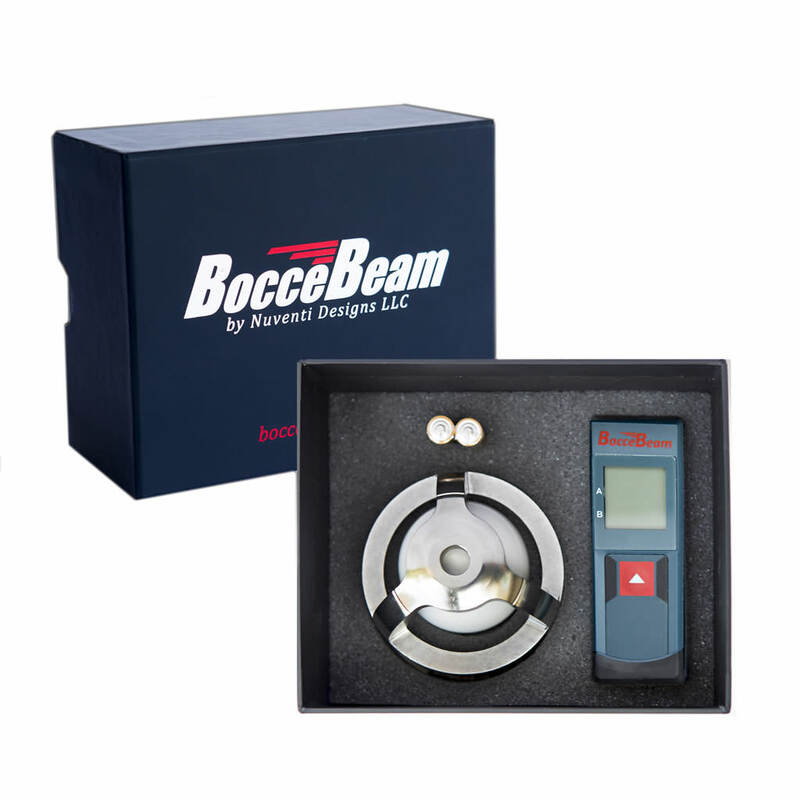 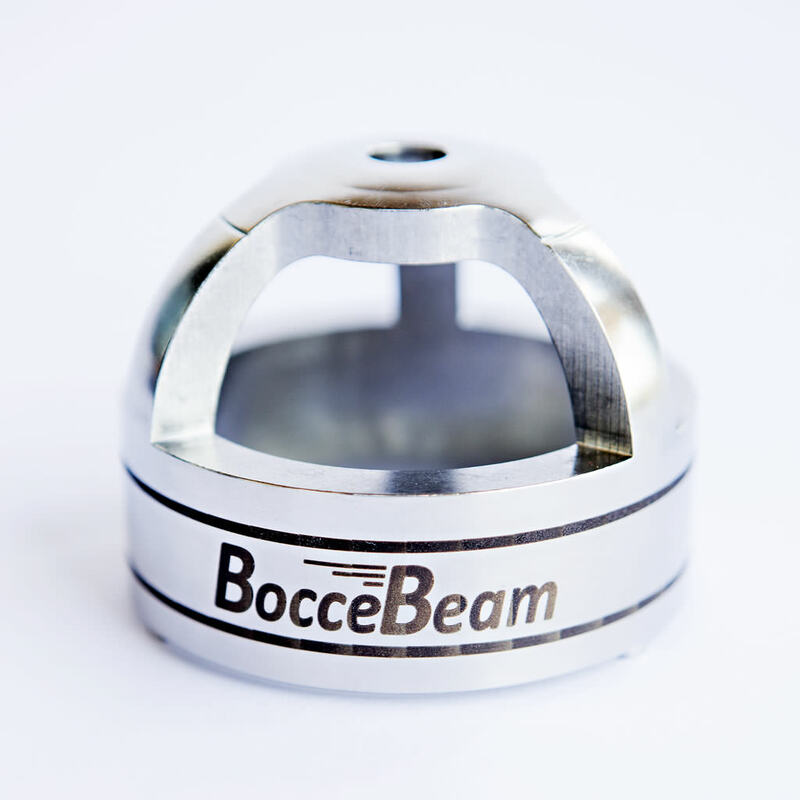 The patented* BocceBeam design consists of two rugged components: a stainless steel base unit and a precision laser measuring tool. 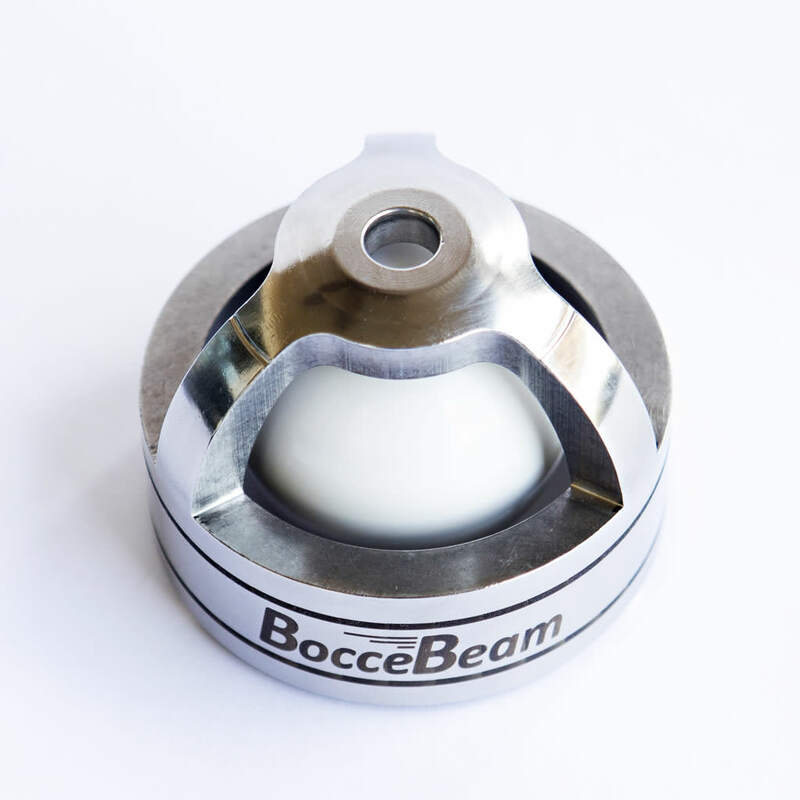 The heavy stainless steel base unit is machined for use with a 50mm/2in pallino (included). 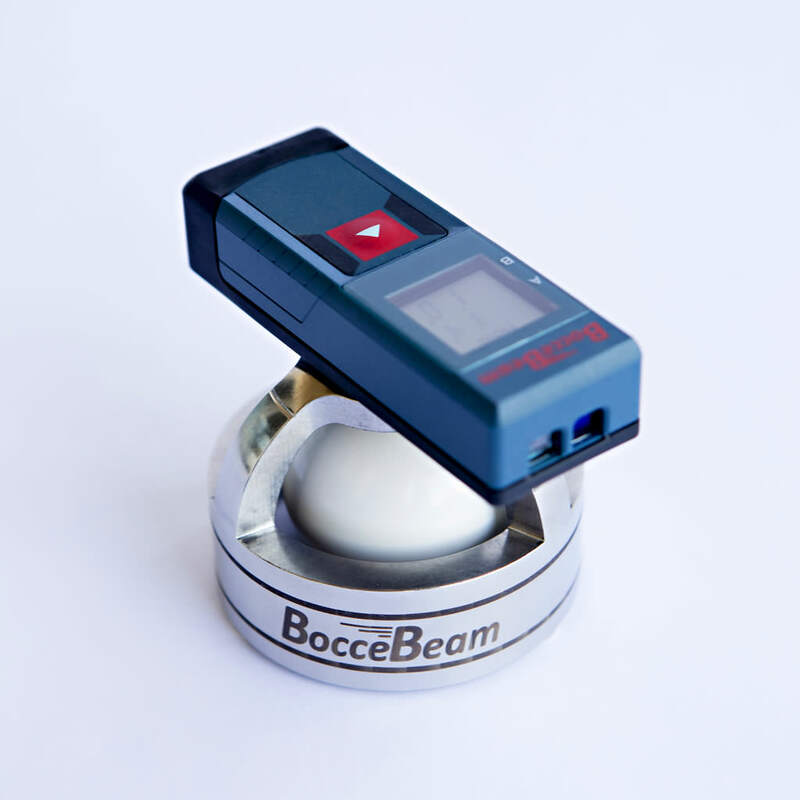 It allows the user to clearly see the pallino and precisely locate the center without touching or moving it. 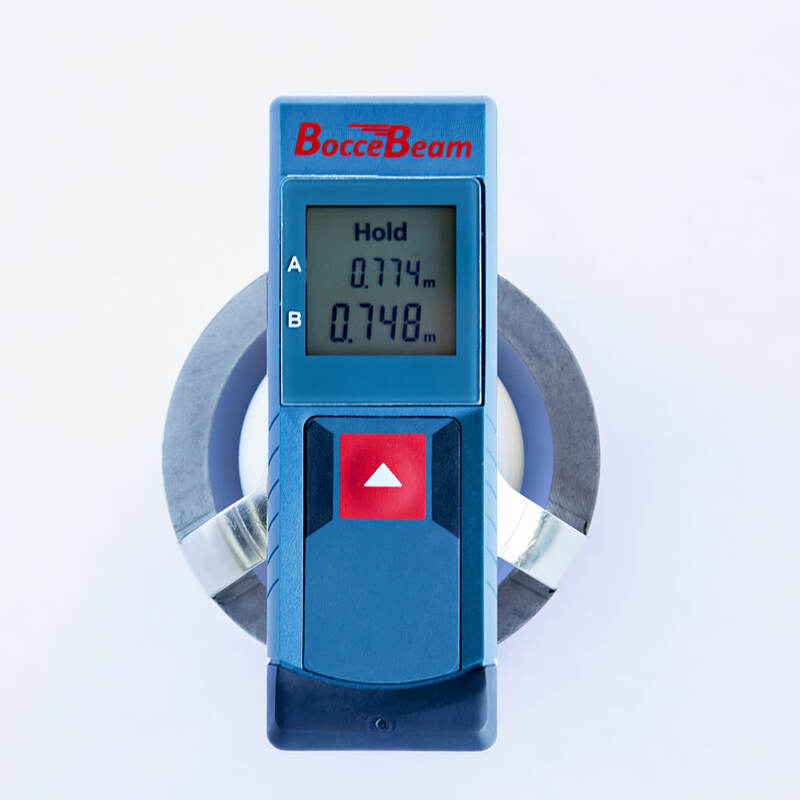 The Bosch Tool Corp. laser unit quickly obtains exact measurements over a broad range of distances. 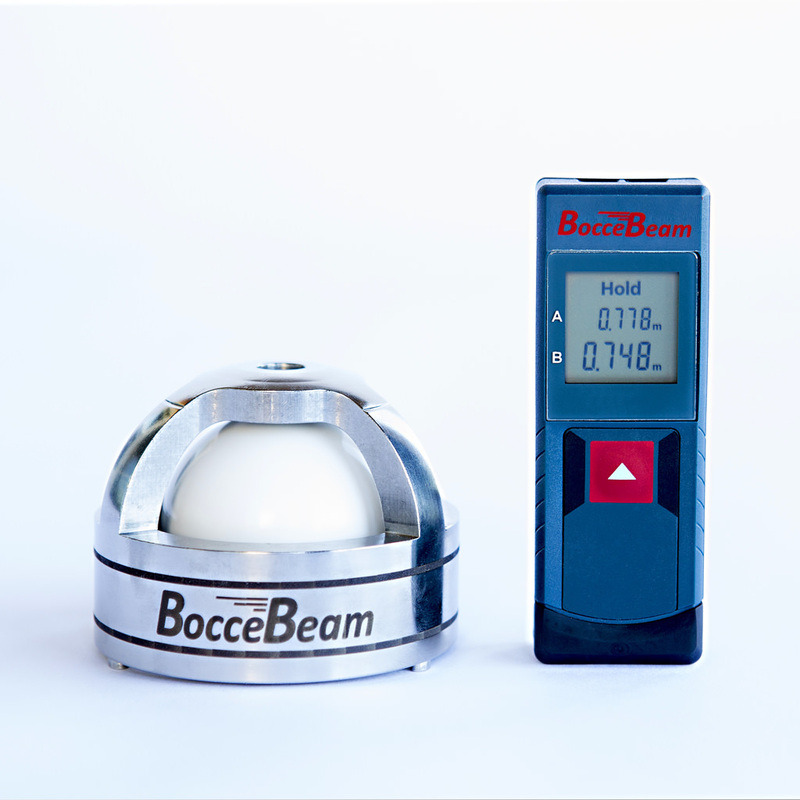 Two readings (A and B) are displayed simultaneously on the screen for easy comparison to determine the closest (scoring) ball.